I got a new computer and am very excited about getting it all set up. I've switched from a PC to a Mac so I need to learn a few things before I'm really up and running. 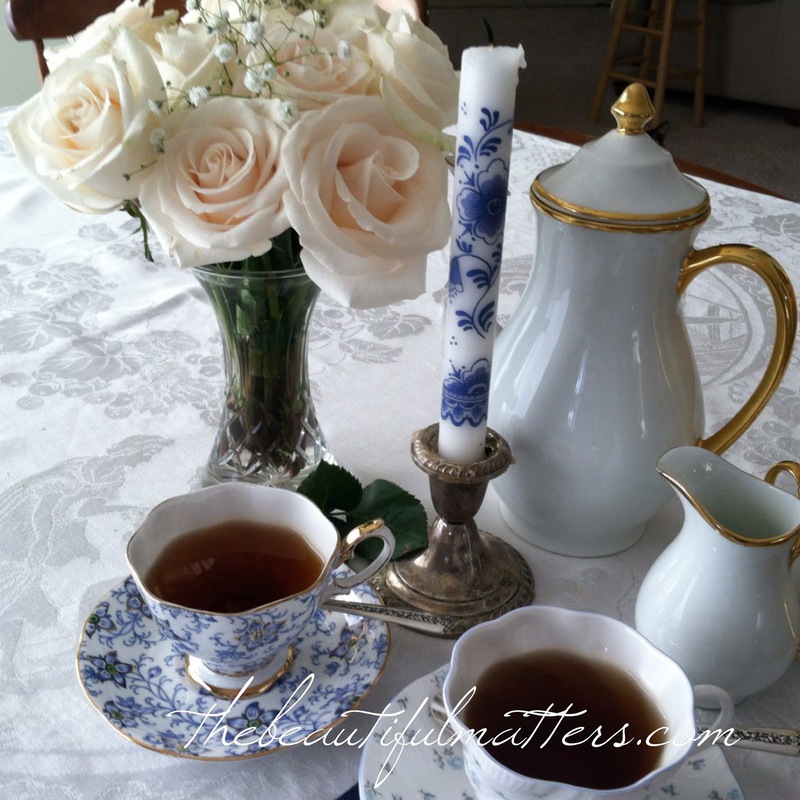 In the meantime, I thought I'd share a few tea photos from my archives. Hopefully, by the next post, I'll have figured out how to upload and edit new pictures. Hope you enjoyed this little trip down memory lane as much as I did. It's been lovely to share these teas with you, sweet friends. Linking with Sandi at Tea Time Tuesday. 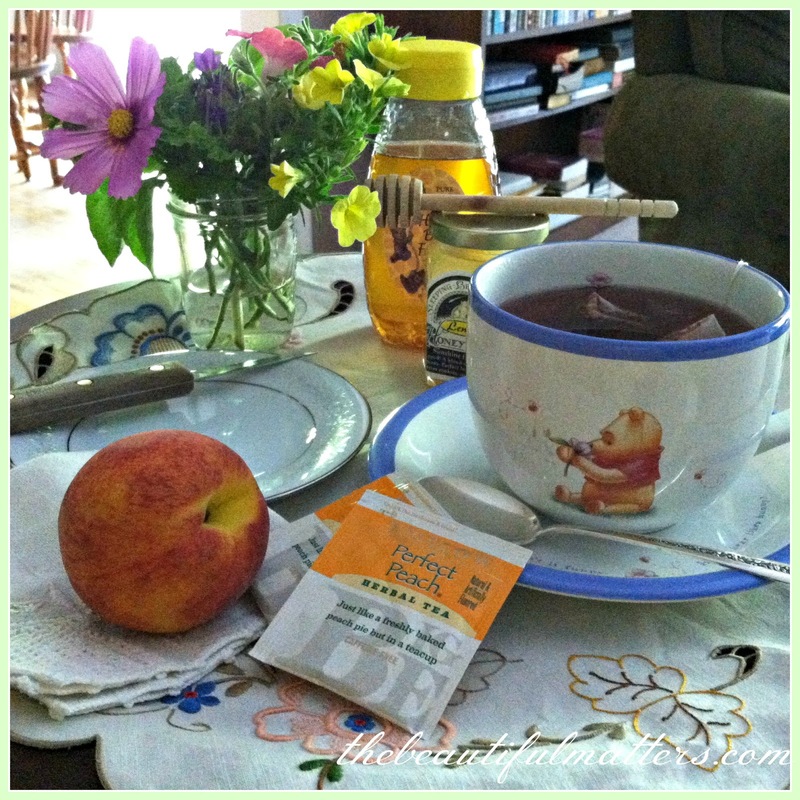 Very smart idea to use your archived tea photos! Yes, switching to each new PC or Laptop takes us through several hours of a learning curve. Guess it is good for the brain, it keeps us alert and young. And once we learn how to, it is a snap. Enjoy your new week and your new Mac! We have always had MAC computers and I love how easy they are to operate...I think you'll be very happy once you get some "hands on" time. Best wishes with the new computer. These are such pretty photos and vignettes. It would be difficult to choose a favorite. God bless your day. Beautiful pictures! I always find it difficult to adjust to a new computer/phone/tablet... my sweet husband likes to upgrade my electronics but then it seems I always need his help to learn how it works. I hope your new Mac will bring you many hours of blogging fun. 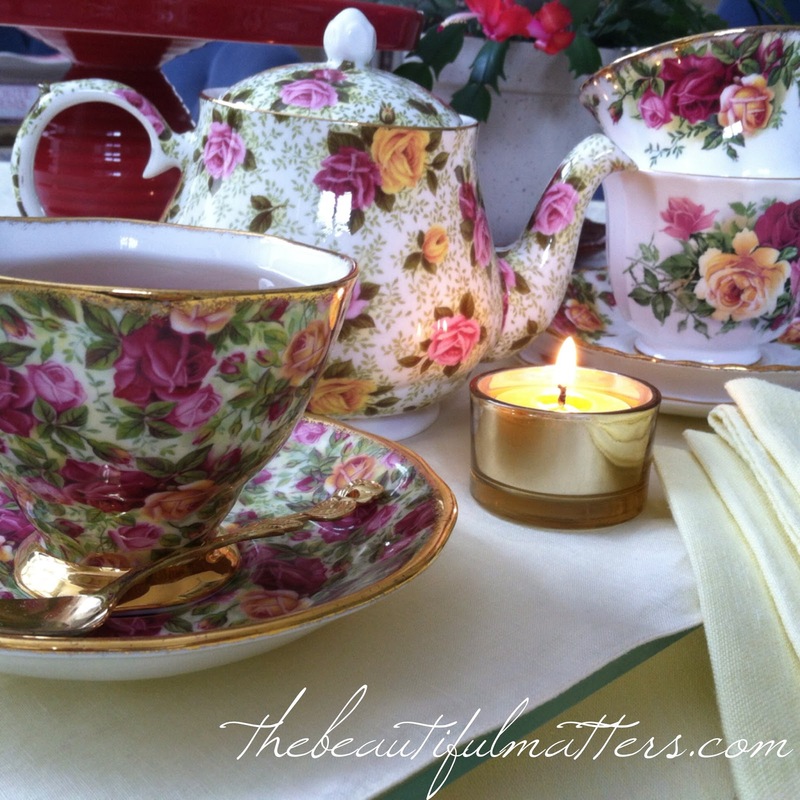 The first picture is beautiful, bringing back beautiful memories of my own teas I love Royal Albert and particularly Country Roses. I DID enjoy that, Deborah! I haven't followed you long, so most of those were new to me. A nice reflection of the various seasons. 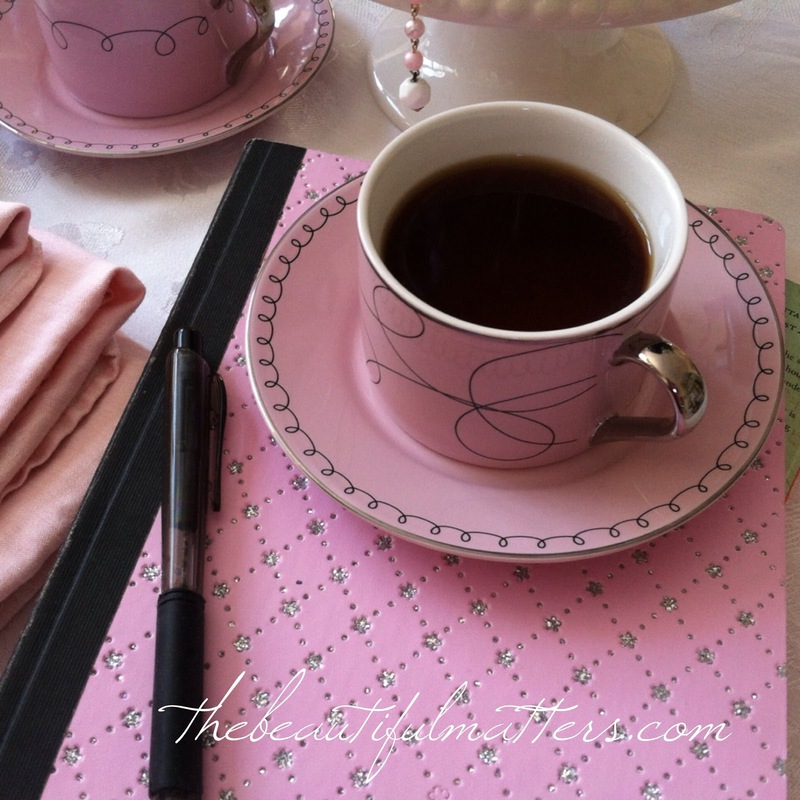 Beautiful tea sets! Enjoyed the photos! I recognized one or two! Lovely moments you created and shared with us. Have fun learning the Mac! Congrats on getting a new Mac! I have one and mine is brand new too and I love it! Good luck with it. 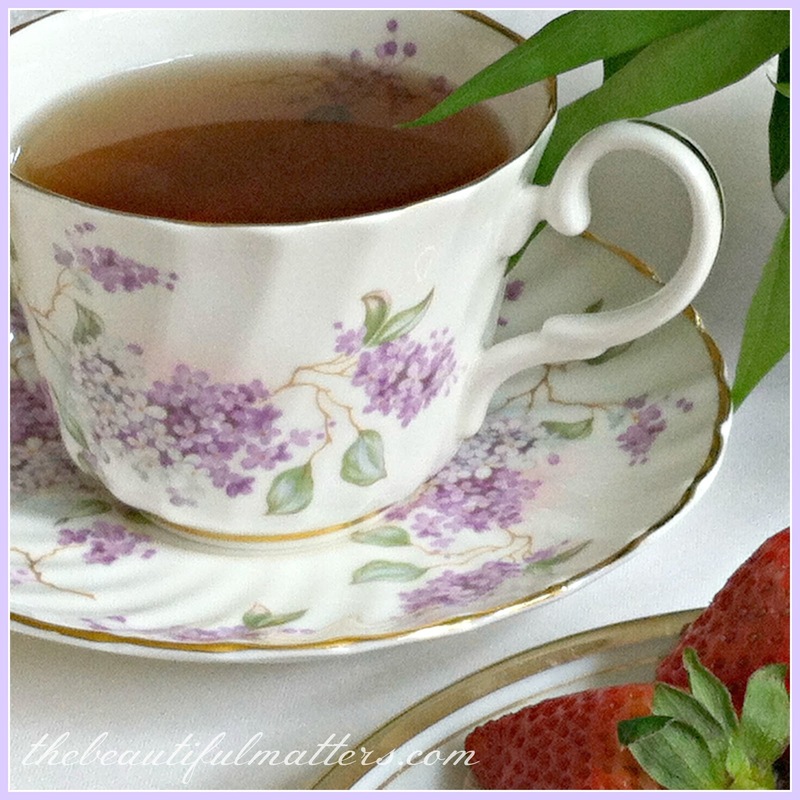 I love all the pretty tea cups you have. Have a nice day. Oooh...pretty! 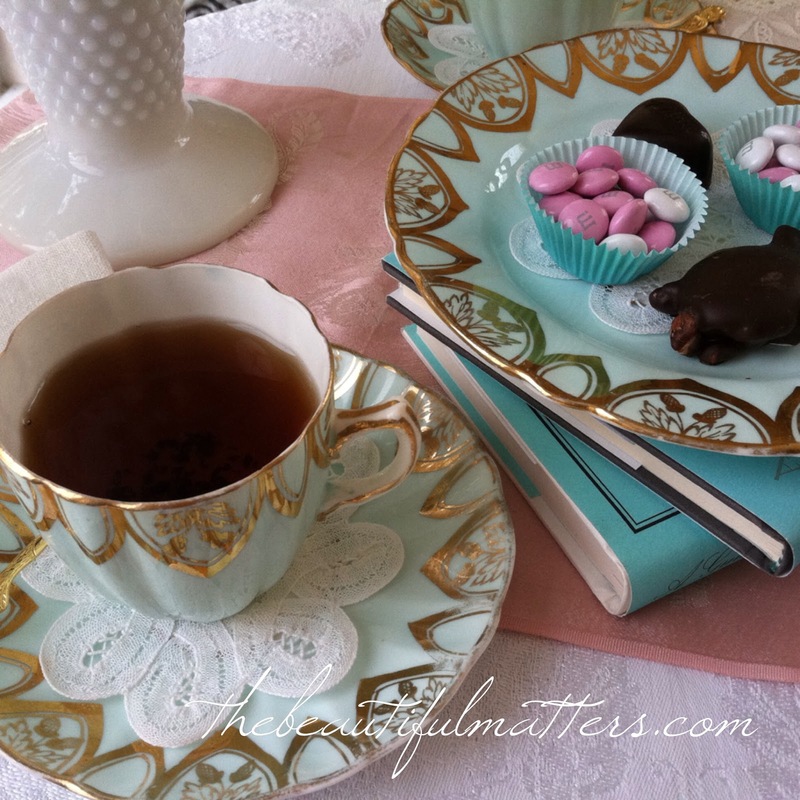 These are very lovely vignettes of your beautiful teacups! Happy Autumn! 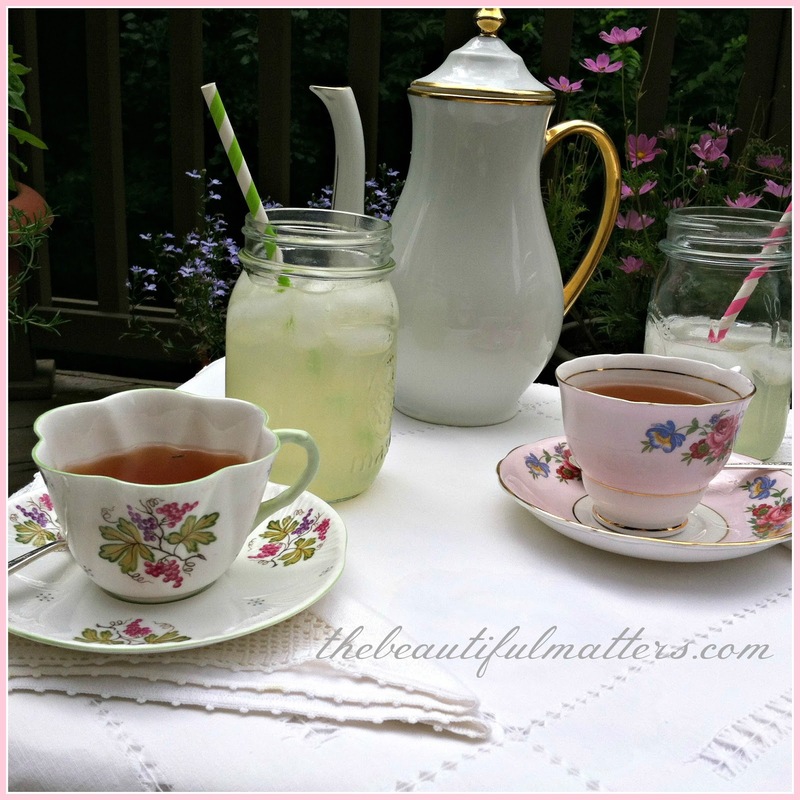 I enjoyed seeing your past tea photos and I of course loved the first one with all the chintz! My son is bringing me a Mac next time he visits and I'm excited and yet a little wary of it. I am used to using Windows so will find a lot of changes. I'm not big on changes either. Have fun learning the Mac and perhaps I will have to get some tips from you when the time comes. Thank you for joining me for tea. Each setting is lovely, and I hope you will enjoy the new computer! HI Deborah, Oh I so enjoyed the archives your shared today. Lovely pics each and everyone. You are very talented with your camera my friend. Congrats on the new Mac. I am sure you will be up and running in no time. Have fun!! 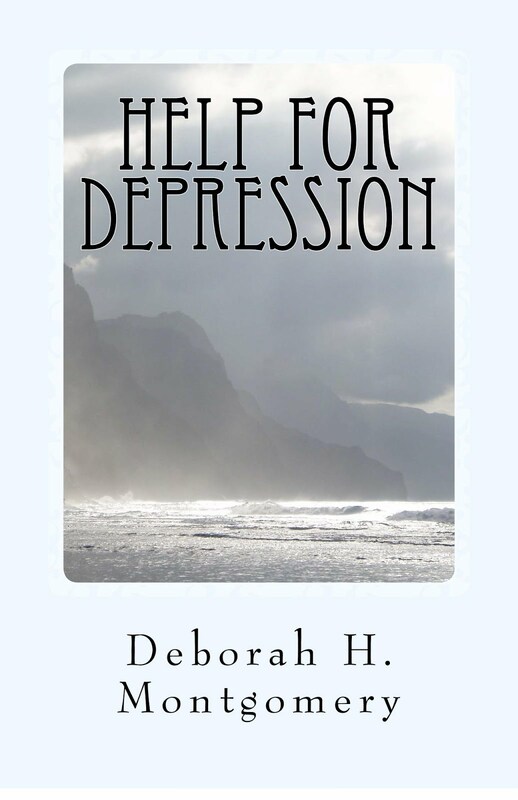 Beautiful images, Deborah! Let me know how you like your Mac; I am planning to get one after Christmas. What a lovely tea time, Deborah. Some of those tea cups were quite beautiful. You had a tea pot there, the brown one, that looks like one I was given from a dear friend. It was her mothers and she blessed my heart by giving it to me. She has a precious heart. Enjoy your new computer. My husband just built our new computer,I was amazed! Thank you for visiting with us while you are still working on getting used to your new computer. What a lovely trip down memory lane. I love the Hall Tea Pot photo. 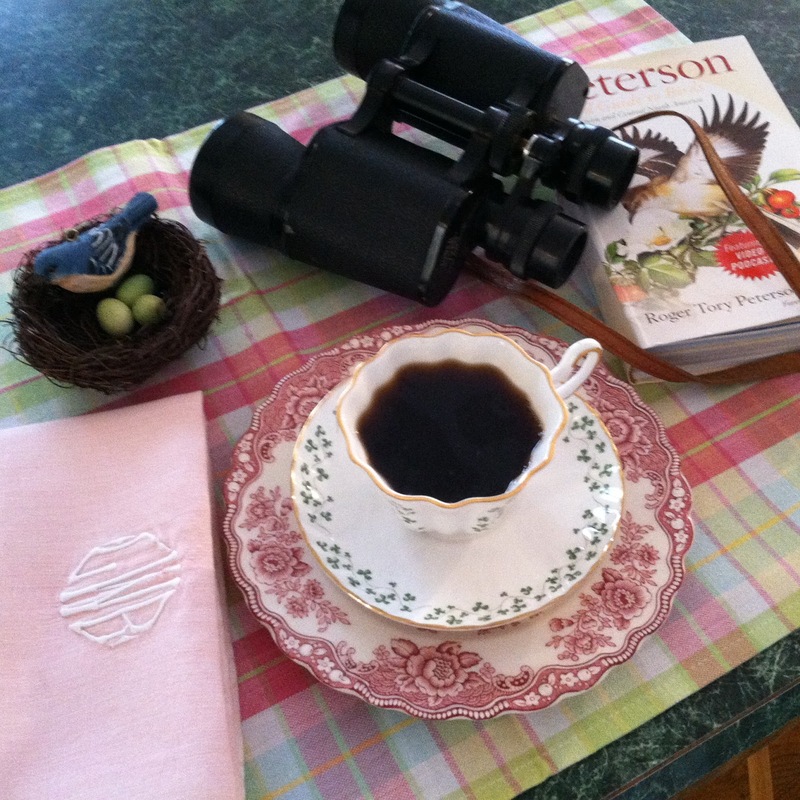 Mixing and matching different styles of vintage china and glassware is one of my favorite things to do. 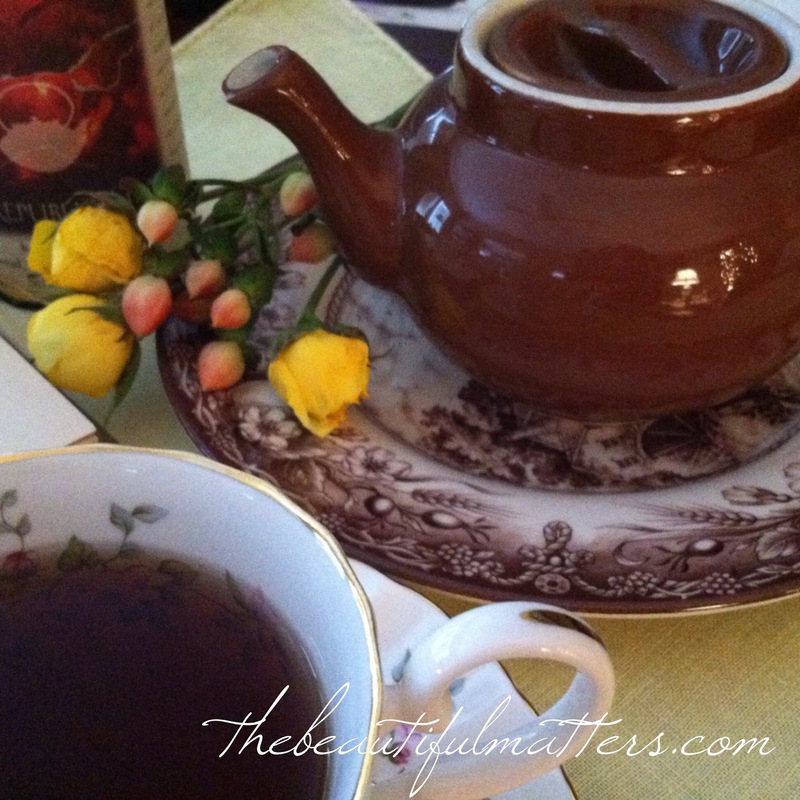 Yours is also perfect for an autumn tea! Good luck with your computer! Hello Deborah... I love all your tea photos. 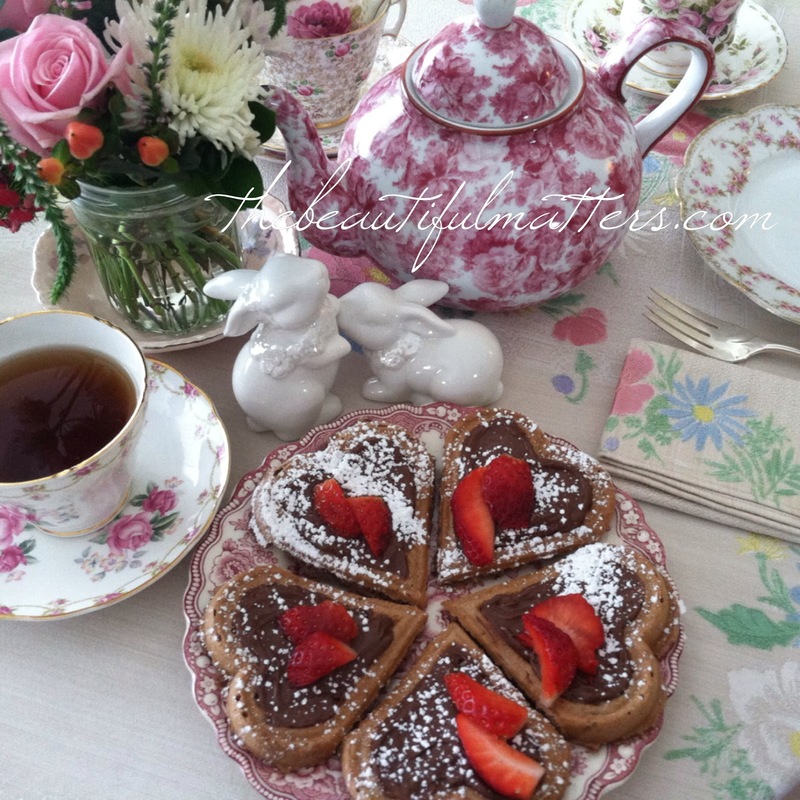 You have a gorgeous collection of tea cups and china. My favorite is the one with the purple lilacs. Have fun with your new Mac. I hear they are amazing. HAve to share some new makeup finds with you. What beautiful tea photos, Deborah. I enjoyed seeing them again and love how you thoughtfully chose all the items. I was in Ohio visiting my mom and just caught up with your 333 project. I look forward to see how it all works out. Everything you shared today was well worth the encore visit. I don't remember seeing them all before. Thanks for bringing them back again! Hi, I couldn't find your email address. 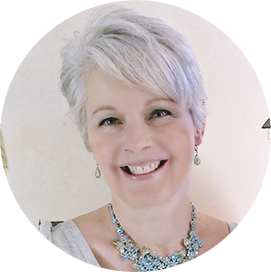 Just wanted you to know that today (Friday) you've been featured on Welcome Wagon, where I introduce new bloggers to my readers. You should be receiving visitors shortly. Welcome to our neighborhood! Oh, Deborah, what an elegant selection! I'd be hard-pressed to choose a favorite. 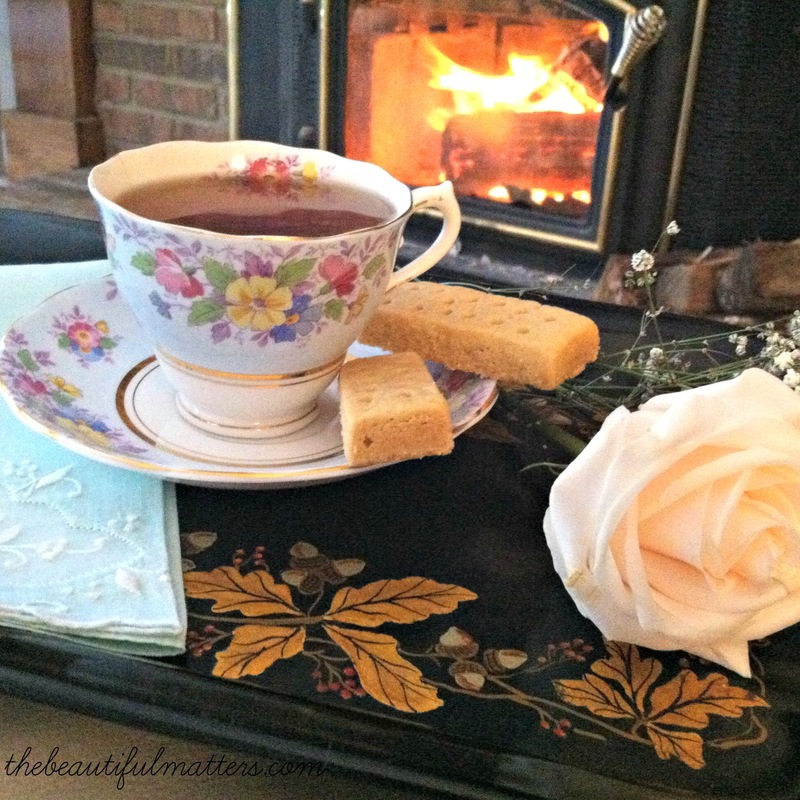 I love the pink, the Winnie :) I really like the idea of hot tea in front of the fire :) Thanks for sharing!